Thanks to the Affordable Care Act, you may qualify for a hospital-grade breast pump. To become eligible and reserve your pump, just complete the form below. Need help finding your Member ID? Just like your doctor, we also protect your personal medical information. We do not share this information with anyone, as required by the Federal rules known as HIPAA. By clicking this box you agree we can use the information you provide to process your order. I agree. I understand this HIPAA policy: Read full HIPAA policy here. We need you to approve we can ship you a pump and accessories after your insurance company approves. Under Women’s Preventive Services you will not have any cost sharing as long as your health insurance is in good standing on the date delivered. Also, you are acknowledging that you agree to our return policies which can be found here. I also agree to (Assignment of Benefits), (Authorization for Release of Information). By clicking this button, I formally acknowledge I am placing an order to have a Hygeia breast pump and supplies shipped to my address, upon approval by my insurance carrier and I agree to the return policies linked above. I acknowledge this is an order not a request for information. Many times insurance companies will cover free bottles and accessories in addition to your pump, but we need your authorization to check. By clicking this button, I formally acknowledge I am placing an order to have additional accessories shipped to my address, if they are covered by my insurance. (Click here for more details). Many insurances allow you to only request a single pump. We need your authorization that you have not ordered or received a pump from another provider. I acknowledge I have not ordered or received a breast pump from another provider and could be financially responsible if I have taken this action. To finalize your order, please check your name and click submit. If the name is wrong, you can edit and then submit. ***Contents may vary based on eligibility. We hate SPAM and promise to keep your email address safe. 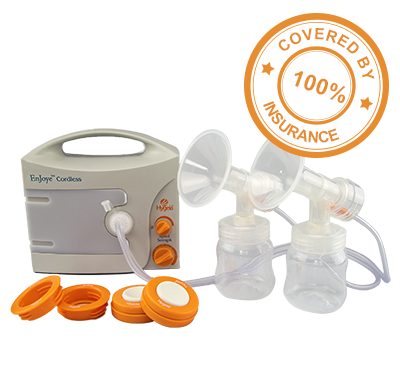 I just wanted to thank you for your incredible help with my Hygeia Breast Pump order. Your company made the process so simple and everything was explained in clear (and patient) detail along the way. As a first time mom-to-be, I certainly appreciate it! With all of the stress, uncertainty and questions surrounding these final few weeks of pregnancy, I was so thankful for your extra level of guidance and customer service. After my experience, I have no doubt that Hygeia really cares about their mothers & babies! Thanks again. "One of our top picks for new infant gear"
"In my humble but experienced opinion, the comparable pumps don’t really compare." "...the pump is highly adjustable so you can figure out the settings that help to maximize your output"
Is your doctor listed here? We looked up your doctor and couldn't find an exact match. Please select a doctor from the list below. Note: Many moms see more than one doctor at their office, you can enter any one of them.